Samsung has launched its new virtual reality headset to the Australian public by demoing a 360-degree underwater film that transports the viewer into the realm of great white sharks. The Samsung Gear VR is a new virtual reality headset powered by the Samsung Galaxy Note 4, created in partnership with Oculus. The headset gives a 96-degree viewing angle for a “full immersive big screen experience” with movies and games. 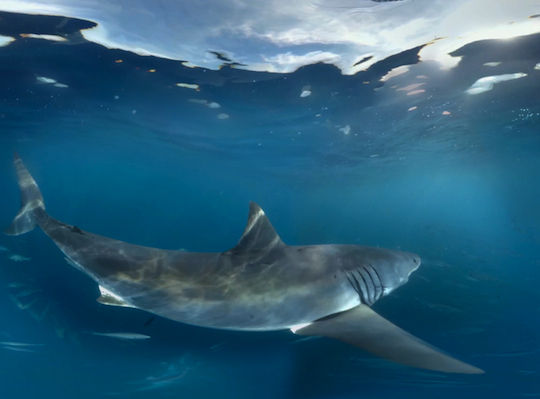 It also shows a 360 degree view with films that have been especially shot for the technology, including ‘Shark Dive’, created by Leo Burnett Sydney. Although the headset seems to be mostly targeting gamers and film enthusiasts, the ‘Shark Dive’ demo experience showcases the technology to the general public. In a quirky activation, the agency, with director Chris Ireland of The Pool Collective, launched ‘Shark Dive’ by opening up a ‘dive shop’ in Alice Springs, 1200km from the nearest ocean. Decked out with wetsuits and snorkles, confused visitors entered the shop only to be given the virtual reality headset to try the 90-second experience. Wearing the headset, users are transported to an underwater world without bars, cages or breathing apparatus. Surrounded by schools of fish in all directions, they can look up to see the murky outline of a dive boat on the surface, while below them is the seabed. Throughout the experience, great white sharks stalk them, edging closer and closer until one bites. Surf film director Taylor Steele of Rapid VR worked with Leo Burnett to capture the incredible underwater footage of great white sharks near Port Lincoln, South Australia, including the astounding 360-degree shot inside the shark’s mouth, captured when it attempted to eat the camera rig. Leo Burnett Sydney chief creative officer Andy DiLallo says the team had to rewire their mindsets to create content for the new technology. “Working with new devices rewires how you think – and we relish the creative and technical challenges of these types of projects. Thinking about how content works when a story plays out all around you requires a different mindset. 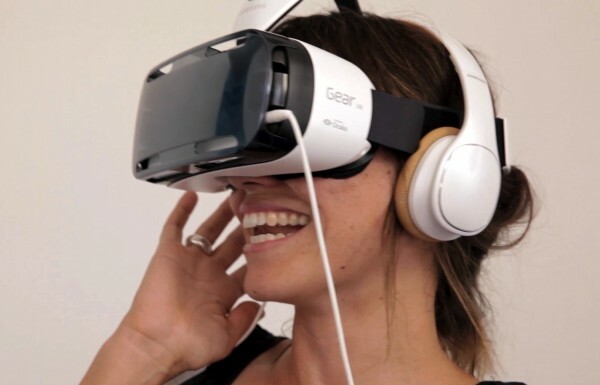 Samsung is demoing the new headset with ‘Shark Dive’ in its experience stores in Sydney and Melbourne this week.